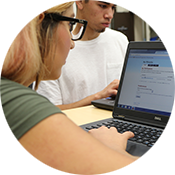 We offer Gavilan College students a variety of resources and assistance for career planning, job searching, internship, and employment. Below you will find resources to help you identify a career. Please visit the Career/Transfer Resource Center in Library 139- near the courtyard to obtain the required Site ID Code to fully access this website. The Military Occupational Classification (MOC) crosswalk has been updated by the Department of Defense (April 2018) and incorporated into O*NET OnLine and My Next Move for Veterans. By supplementing this crosswalk with additional sources of data, both sites offer over 36,500 linkages between nearly 13,000 distinct MOC occupations and related O*NET-SOC occupations. Within the O*NET Military Transition Search, civilian career options are presented alongside helpful military links and information. To learn more, visit O*NET Resource Center Crosswalks. The updated search can also be accessed via O*NET Web Services. guide and assist individuals through the planning and career decision-making process. Gavilan College Career Education The Career Education department provides students with the skills and opportunities necessary to survive and thrive in today’s competitive business world. 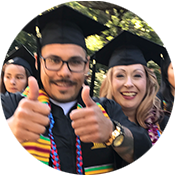 California A one-stop information and referral service for individuals considering or pursuing teaching careers in California. Interested in a career in public safety? This site will provide you with information about the various career options available and the training required for each. Career planning resources for Science, Technology. Engineering, Mathematics, Computing and Health Care. guide you as you prepare for a future in health care. Student job seekers can find internships and entry-level jobs, research salaries and career paths for different jobs and companies, and learn what kinds of interview questions are asked at entry-level job interviews. Salary Surfer This tool also provides information on which colleges offer programs in those specific disciplines.